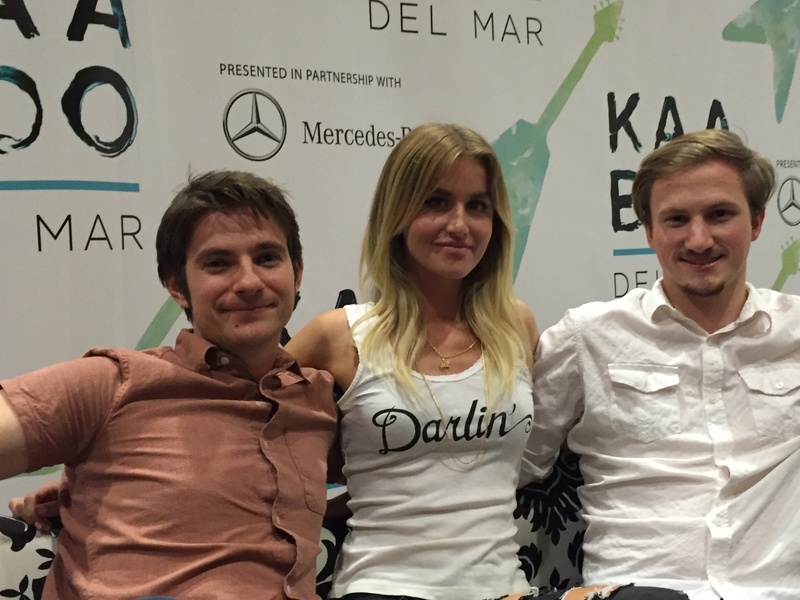 After some wrangling with the city fathers, Kaaboo’s inaugural launch happened this past weekend in Del Mar. 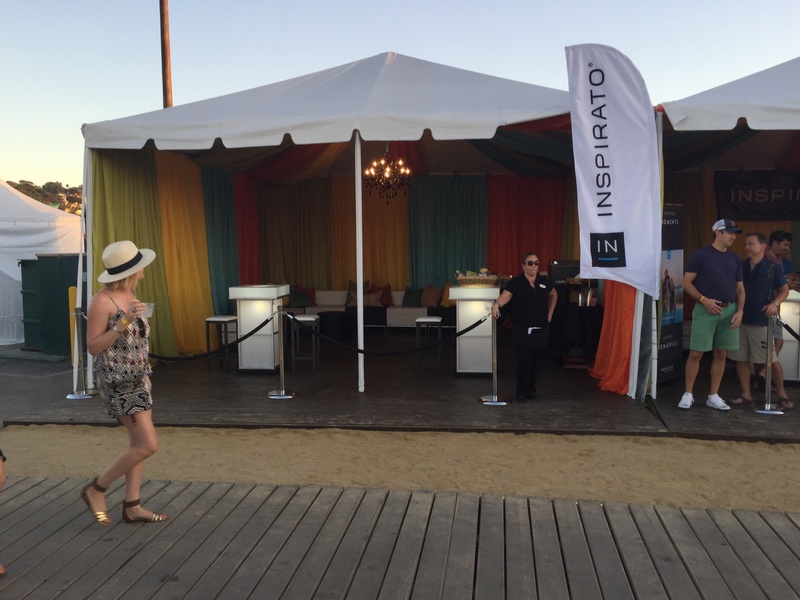 The beach motif was established with the imported sand in front of the main stage, christened Sunset Cliffs. A boardwalk was laid down around the perimeter, bordered by cabanas, lifeguard chairs and umbrellas. The VIP section had Astroturf for barefoot dancing and closer proximity to the stage. 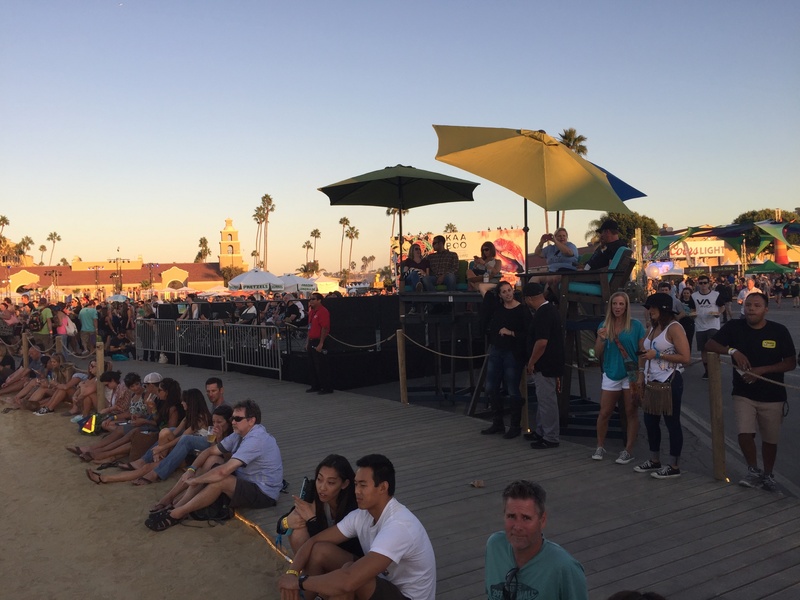 Other stages were named after other iconic SoCal beaches. 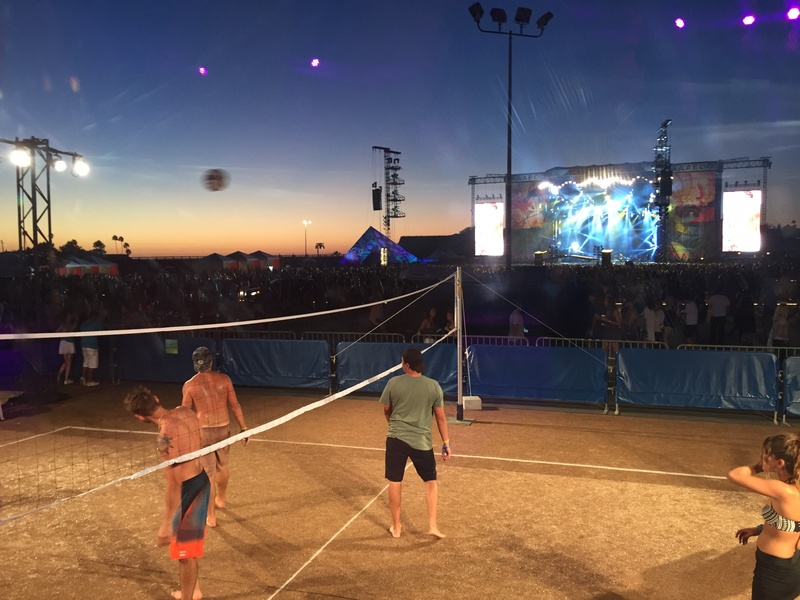 Beach volleyball was on offer, right in front of the VIP section overlooking Sunset Cliffs. A full palette of art, comedians and chefs was on offer as well. Before the stages were packed away after the weekend, the promoters announced that Kaaboo would return in September 2016. Bonnie Raitt seemed truly happy to be in town; she had myriad shoutouts to friends and family from the Zuma stage, and she also graciously made mention of other bands to check out. It is great when a veteran gives back and helps pull up emerging artists. One such artist that Raitt would surely enjoy is Fairground Saints. 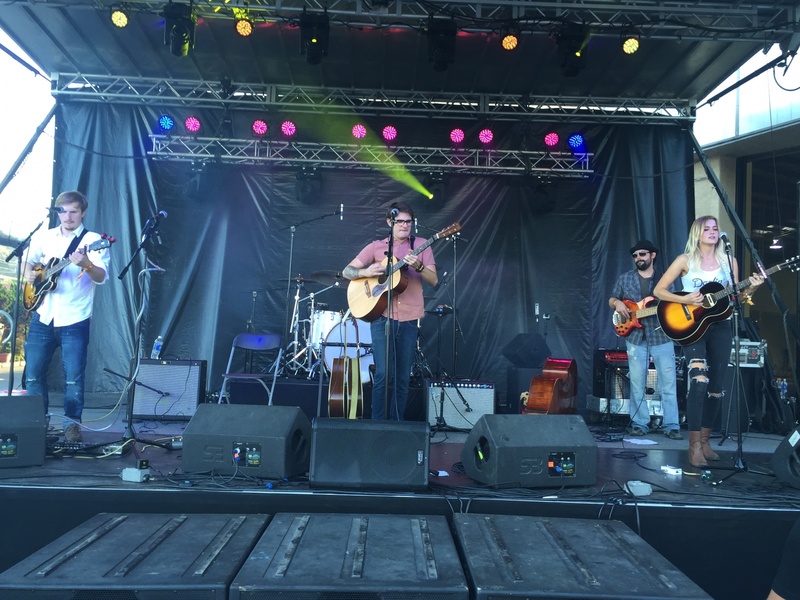 A trio that blends Americana roots with a fresh young energy, this band is destined for the bigger festival stages. The band is touring on the heels of their eponymous debut album on the venerable Verve label. The album is only a month old. Mason Van Valin (vocals, guitar) and Elijah Edwards (vocals, guitar, mandolin, keyboards, dobro, accordion) had been gigging around the coast between Santa Barbara and LA, and discovered Megan McAllister (vocals, guitar, dulcimer) via YouTube. Producer Matthew Wilder and the trio discovered each other via serendipity. The results (ably recorded in Wilder’s barn) highlight their gorgeous harmonies, especially on “Can’t Control the Weather” and “Sunday Lover.” The band told me before their Kaaboo gig that each song was like “a palette cleanser” for the song that preceded it. Onstage the trio was buttressed by a solid rhythm section of bassist Ryan Roberts and drummer Diego Ruvalcaba. Moving fluidly among a variety stringed instruments the trio evinced a confidence that belied their age. The show closer “Church” left those lucky enough to attend well satisfied. Foster The People were at Sunset Cliffs during the golden hour at sunset, a spot undoubtedly coveted by many bands. 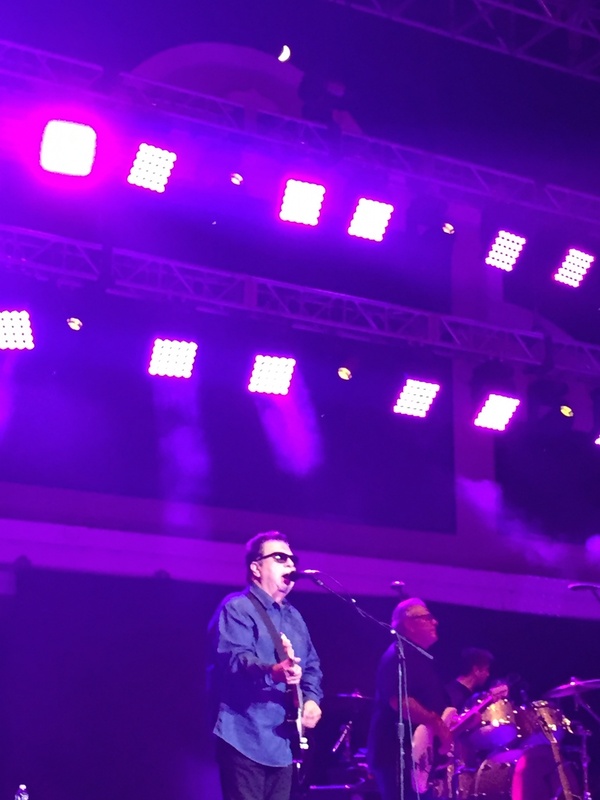 Over on the paddock area, christened Trestles for the weekend, Los Lobos delivered a scorching set, honed from years of gigs starting in backyards and escalating from there. Previewing a couple tracks from their forthcoming album, the vintage band from East LA peppered their spicy set with a host of classics. The quarter moon peeked through the lighting and the most appropriate beverage was an icy margarita. 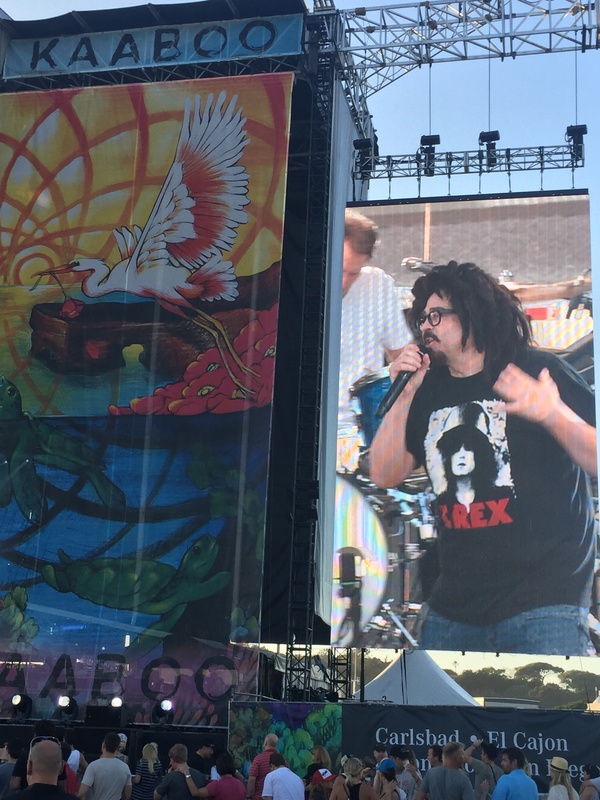 Adam Duritz was rocking his T. Rex shirt as Counting Crows enjoyed the golden hour on the Sunset Cliffs main stage. “Mr. Jones” prompted the most robust audience sing along, with “Round Here” a close second (both from their 1993 debut). San Diego faves Slightly Stoopid were across the way at Grandview. Their loping reggae inflected grooves were perfect as the temperature dropped slightly. Reggae giant Don Carlos dropped by to help the band finish their set, which was a nice blend of old and new. The moon came up again directly over Trestles, this time for another crucial element of the early 80s LA rock scene, the blazing X. 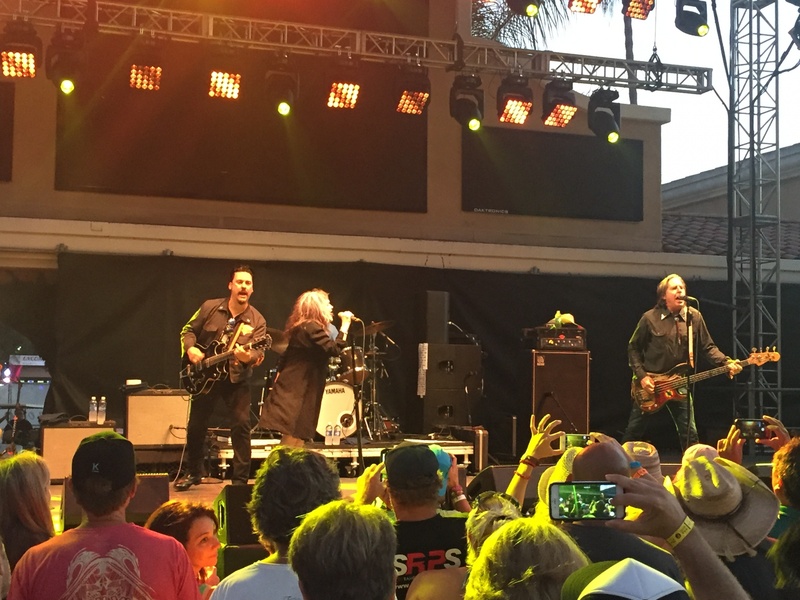 The original quartet is comprised of Exene Cervenka, John Doe, Billy Zoom and DJ Bonebrake; however, Billy Zoom is undergoing chemo treatment for bladder cancer at Cedars so standing in for him was Jesse Dayton at this show. Crisp and edgy as always, the quartet ripped through a well-received set. Back at Zuma (the stage where most folks see a concert at Del Mar), Young The Giant had swooping moody chord-based melodies, and assayed a few tracks from an album in progress. 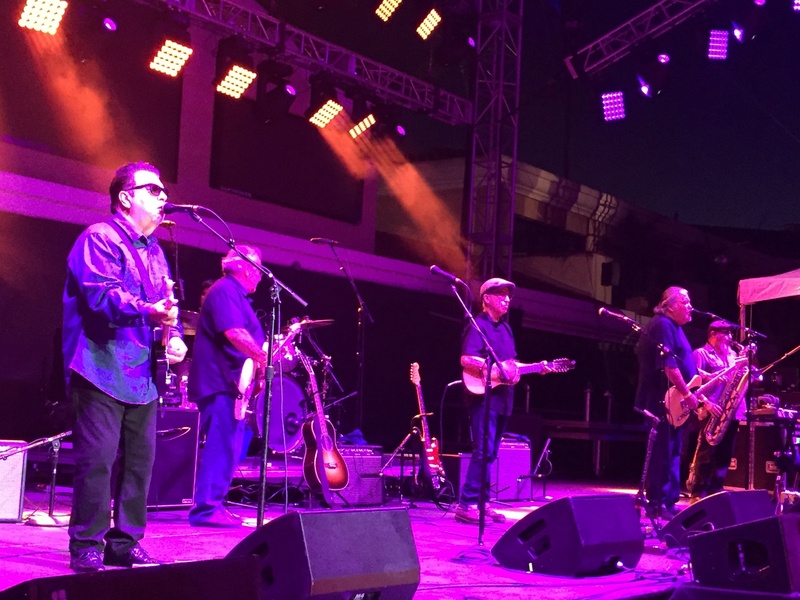 Zac Brown’s hard edge country stylings were occasionally softened, in the best case with a surprisingly tender rendition of Van Morrison’s “Into the Mystic.” The band closed out Saturday on Sunset Cliffs. Many folks then departed the venue, which was part of the plan to ease traffic. But many other folks (mostly of a younger demographic) stayed for the festivities that pushed into the night. 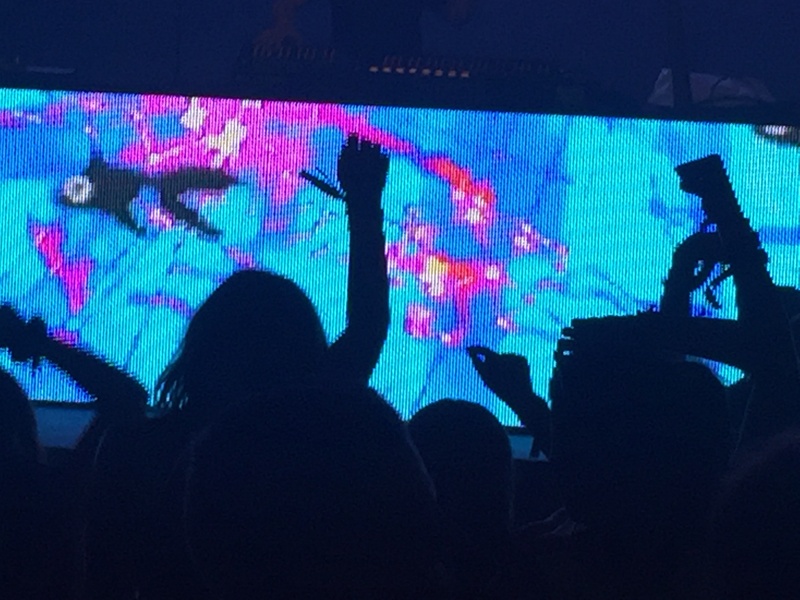 The airplane hangar sized Encore stage was home to more electronic offerings, starting with Goldfish. 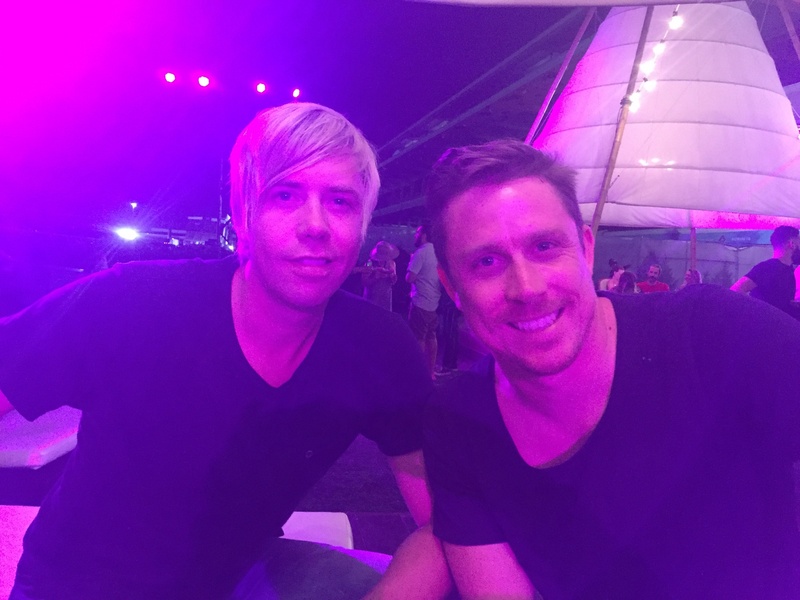 The South African duo blends live and recorded music in hypnotic style. Before their set Dominic Peters and David Poole told me their story of starting out studying music at college, playing the occasional traditional jazz gig in Capetown and landing a short gig in Cannes. A wonderful chapter of the Goldfish story has to do with a scrambling to find a crucial electrical connection at a European gig. Digging through a box of cords, they found in the spaghetti of wires the vital RCA cord. That old school cord at that breakthrough gig led to longer gigs at Ibiza and a trajectory to near global stature. I find Goldfish’s blend of samples and live performance (sax, bass, keyboards) more compelling than standard fare EDM. Every festival comes with the fun but impossible urge to play rescheduler, for that most excellent and efficient lineup. Train’s competent chops were well received at Zuma. Things perked up for me during an extended riff on George Michael’s “Freedom.” Everyone loved Train’s take on The Weeknd’s “Can’t Feel My Face.” But the pandering drifted lower with Train’s cover of Aerosmith’s “Dream On;” at least lead singer Pat Monahan admitted playing it for the old folks in the audience. Is there a video equivalent of an echo chamber? The cameramen shooting for the big screens often zoomed in on audience members using their smartphones to shoot with their small screens. 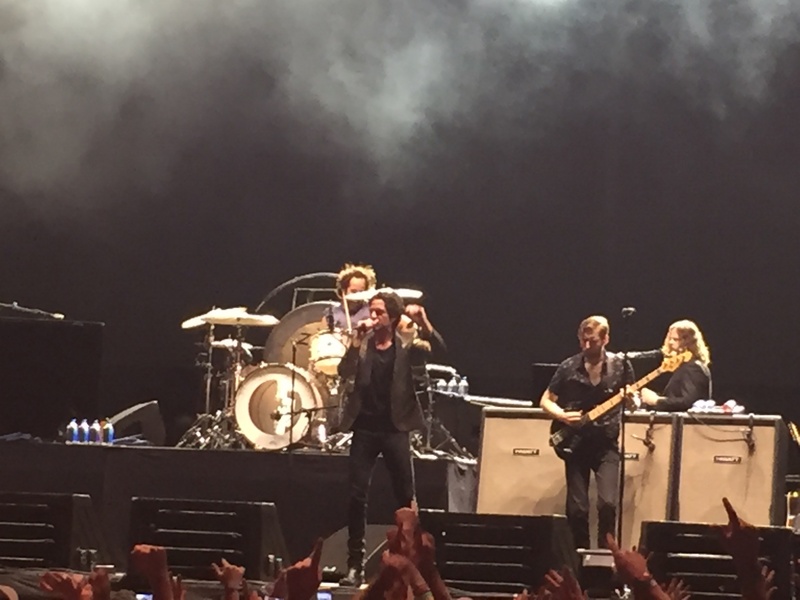 Closing out the inaugural Kaaboo Festival was Las Vegas band The Killers. Their intro music were the opening riffs to The Who’s “Eminence Front,” perhaps a tribute to the latter’s postponement of their recently scheduled California dates? A cleverly selected cover of Credence Clearwater Revival’s “Bad Moon Rising” was far more effective than Train’s covers earlier. Both The Who and CCR appeared at Woodstock, which was originally billed as a music and arts festival. The comfortable vibe of Woodstock, the granddaddy of all music festivals, pervades all subsequent successful festivals. Kaaboo captured that vibe. The consensus from the myriad folks I spoke with during and after the weekend was that Kaaboo was a success, which parallels my perspective. It is great to have such a festival nearby, one that blends a well-curated buffet of music, art and cuisine. 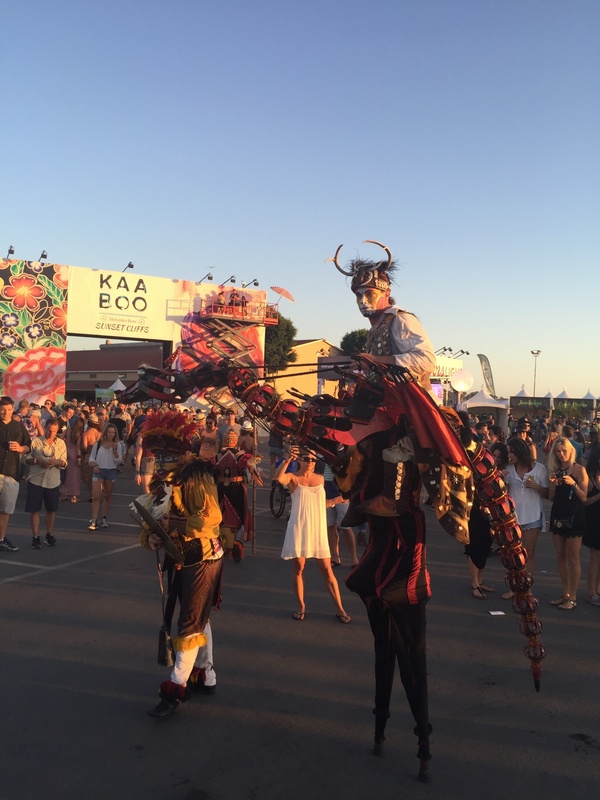 Anyone who attended Kaaboo undoubtedly left with the feeling that much was left unexplored, which bodes well for the promoters to count on many returning visitors next September.